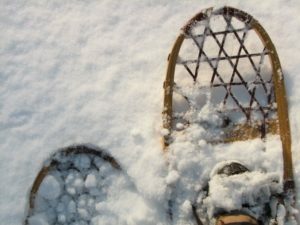 If your New Year’s Resolution is to exercise more and get out into the great outdoors, we highly suggest you try the sport of snowshoeing in 2019. There are so many beautiful locations throughout the High Sierra that offer some of the most scenic landscapes that it would be a tall call to list them all. However, our real estate team in Truckee took a poll at the office and came up with what we believe is a start to the top spots to snowshoe in Truckee and Lake Tahoe in 2019 and beyond! Here’s to a healthy and happy New Year ahead enjoying the mountain lifestyle! With over 100 km of snowshoe and cross country ski trails, Tahoe Donner Cross Country offers one of the West’s finer locations for outdoor adventure. In fact, USA TODAY voted this resort as one of the ‘top three’ in the entire country and for three years in a row was selected as the “Best Cross-Country Center in North Lake Tahoe and Truckee,” by the SIERRA SUN. In addition to its vast system of trails that encompass 2,800 acres, the views are just as impressive with trails that wander through the forest and far-stretching meadows. And, there are 7K of trails deemed “dog-friendly” so be sure to bring your favorite pup! All the equipment you need for snowshoeing (and XC) are right on site. With Mother Nature’s assistance, Donner Memorial State Park’s eight miles of hiking trails turn into a winter wonderland of snowshoe trails. 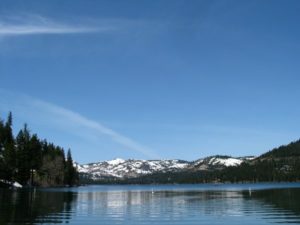 And within this easy-to-reach destination, you will enjoy beautiful views of Donner Lake as you trek along its shoreline or continue your quest into Coldstream Canyon. South of the Canton is access to the Emigrant Trail which can lead you into additional terrain owned by the U.S Forest Service and eventually to the Pacific Crest Trail and beyond. After a refreshing day outside, be sure to make the time to explore the new Donner Memorial Park Visitors Center. You can pick up a map of the local trails at the Donner Memorial Visitor Center. And, while you are warming up, you can learn all about the famous Donner Party and Native Americans who were so influential in the history of the region. One of Lake Tahoe’s most popular areas to access and explore the backcountry is accessed through the terrain to Castle Peak. With flat snowshoe and cross-country trails, and its proximity to the famous Grubb Hut, this is a good selection for families in particular. Castle Peak can be reached by a 1.5 – 2-mile approach to the ascent; the descent from the Peak is easy to navigate as well. We want to be sure to include a little more information about the Grubb Hut as noted earlier: Officially known as the “Peter Grubb Hut,” this is the most popular of the four Sierra Club huts. Either as a destination in its own right or the first stop of the Grubb-Benson-Bradley tour, this hut is a great base camp to further explore the ski terrain in the Castle Peak vicinity. As part of the largest cross-country ski resort in the world, Royal Gorge Cross County offers 51 km of dedicated snowshoe trails and on-site snowshoe rentals. Our favorite trek is through the historic Van Norden Meadow where you will enjoy expansive views wrapped with old growth trees. It’s the largest level area in the Donner Summit region which makes it ideal for first-time beginners in particular. In addition to their 51 km of dedicated snowshoe trails, they offer state-of-the-art equipment rentals for all ability levels and welcome dogs on selected trails. 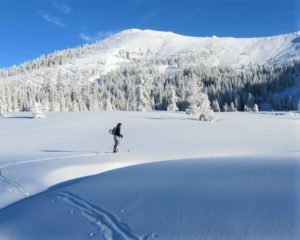 Another excellent choice for snowshoers of all abilities is Page Meadows on Lake Tahoe’s West Shore. It’s a series of interconnected trails that start within the forest that leads you to expansive meadows and spectacular views of Ward Peak and Twin Peaks. You can trek for hours yet always be sure to be prepared. No matter where you go to snowshoe, let someone know where you are headed for the day. Layered clothing, water, food supplies, flashlight, and matches are always recommended. If you’d rather venture high above the Lake or into the backcountry with a guide by your side, and perhaps under a full moon, you will be delighted to know that many reputable companies ­­offer a wide range of options. 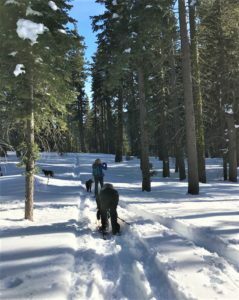 We’re recommending TahoeSnowshoeTours.com in this blog as they offer the widest selection of tours throughout the High Sierra. Their list includes tours in Truckee, Squaw Valley, Northstar, Tahoe City, Homewood, Tahoma, and other towns throughout the Lake. Touting their programs as “Lake Tahoe’s Most Scenic Wilderness Snow Shoe Adventures,” you can rest assured that you will be in good hands throughout your entire experience. 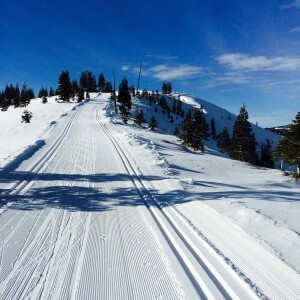 For complete information, visit TahoeSnowshoeTours.com. There are over 40 miles of snowshoe, cross-country and telemarking trails that start at mid-mountain at Northstar California. 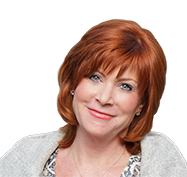 As one would expect from a prestigious mountain resort, they offer everything you may need for a perfect outing. In addition, be sure to ask for information on their ‘wilderness warming huts” that provide shelter from the cold and hot drinks as well. Throughout the winter months, Northstar California also offers guided star-gazing tours. For more details about their programs and operation, visit NorthstarCalifornia.com. No matter where you choose to spend some quality time on snowshoes with your friends and family in tow, our Elder Group Tahoe Real Estate team always welcome the opportunity to give you our own ‘local’s insight and advice.’ Feel free to stop in at our real estate office in Truckee or reach out at any time. 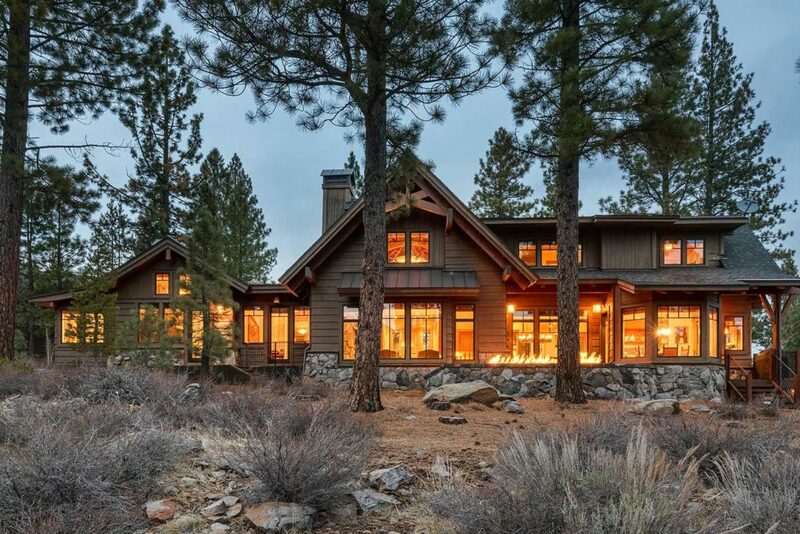 Here‘s a remarkable retreat nestled on a spacious .754 acre homesite offering stunning Lookout Mountain views and privacy in the beautiful and private gated community of Lahontan. Nestled adjacent to open space within the Martis Valley with Northstar soaring beyond, this comfortable and luxurious lodge built to the highest standards abounds with easy family living and plenty of space for everyone! Offering the “wow” factor, the main living level’s huge great room with beautiful windows brings stunning ski slope views, a large, integrated dining area, gorgeous chef’s kitchen with all the accoutrements for entertaining (plus a large walk-in pantry), a delightful breakfast room filled with sunshine, large office/den, luxurious master suite with gas fireplace, spacious bathroom and dual walk-in closets. The upstairs wing of this retreat is well designed for family and guests. Three bedrooms, all with delightful mountain and forest views, offer a serene and cozy vibe; two of the bedrooms are en-suite with lovely bathrooms and walk-in closets. The third bedroom is adjacent to a large shared bathroom and a spacious game room, ready for fun, movies and good times! Guests and family, particularly those who have extended stays, will enjoy the delightful and well appointed “cottage” which is located steps from the main property. This cozy abode offers a lovely and private setting with a gas fireplace, en-suite bathroom, and room to relax. The spacious garage leads to a large mudroom and laundry facilities with a functional layout and plenty of storage for year ‘round family activity. The lovely, rear patio brings a custom and beautiful gas fireplace, extensive perennial landscaping among the spacious grounds and spectacular views. This is the Lahontan property your family has been awaiting!